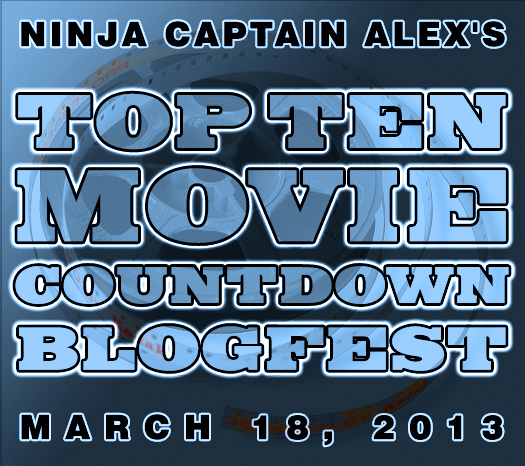 It is time, once again, for another legendary blogfest from our Ninja Captain Alex. This time it is all about my favorite subject, movies. But, to pick only ten. Wow, only ten. Can I possible narrow my list down to ten? Let me give it a try. Do you agree with my list? What films are on your top ten list? Next Vikki, Why do you blog? You picked some good ones. My favorites of these would be Matrix and Gladiator. My list goes up in a few hours from when I enter this comment. Hi Lee, Look forward to seeing your list. 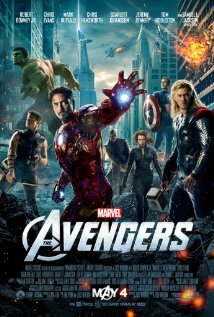 Avengers has to be one of the top ones! The Matrix almost made my list. Cool you included quotes. You keep hosting, I will keep participating. This one was my favorite. Honestly it’s because of Yoda. Your assembling of the movies using quotes is pretty creative. The films you listed here are arguably among the best ever to grace the big screen. I have an especially huge liking of Gladiator, Goodfellas and The Bourne Identity. Thanks Nicole. It was hard to narrow it down to ten. Sydney, be sure to add your direct link to the list. i couldn’t find you on it. Did I forget to sign up? Ok, I need to slow down. To much going on. Thanks, Alex. Highly recommend Fight Club. It will make you think. Great list! A few of those are in my top 50! Your list rocks and the quotes are great but the AVengers’ is the best! That movie had some great quotes and Tony Stark is up there in my top five favorite characters. Thanks for following. Oh my gawd, I need to see all these movies again! Your list is super awesome. Seriously. Thanks Tameri. I am so in the mood for a movie day after talking about movies all day. Thanks. I live quoting movies. The Avengers just barely missed my list…love all the Marvel movies! I agree Roland. I love that quote from gladiator the best. We both went for the quotes! And cool choices. We had a couple in common — Bourne and Gladiator. I would put The Avengers up near the top, too. Good stuff. Following from the Top Ten Movie Countdown Blogfest. Love that you have quotes from each of your favorite movies! Avengers was on a lot of lists. Good movie. Such a great movie. Can’t wait for the next one. i love your picks. The Matrix, Avengers and Notting Hill are all faves. i really enjoy that guy… he is always great in all his rolls… Notting Hill. don’t tell anyone i would loose my tough reputation. Notting Hill alomst made my top ten. I love the last fifteen minutes. Yay Avengers!! Such a great movie! You have a lot of good fighting movies, which I love as well! I look a movie with a good fight scene. Just dropping in from the blog hop (late I know!) to say you’ve got some great picks.